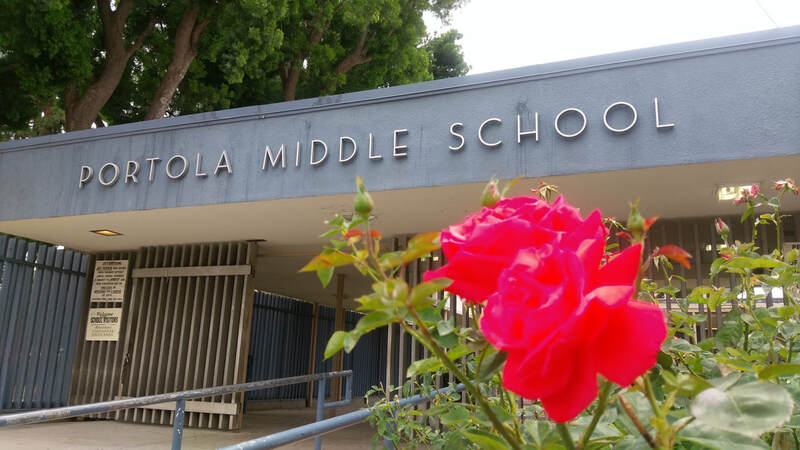 Portola Highly Gifted Magnet is the only middle-school program in the Los Angeles Unified School District exclusively dedicated to the education of highly gifted students, and one of the few programs across the United States, public or private, to do so. Students enrolled in the Portola Highly Gifted Magnet benefit from an accelerated academic curriculum taught in a supportive environment, surrounded by a welcoming community of peers. In addition to core classes, Portola HGM students learn about the world around them through enrichment trips, extra-curricular activities and through its diverse student population who come from zip codes all over Los Angeles to attend this truly unique program. We have one more tour date for this school year! ​Tours begin in the school library at 8:30 AM to approximately 10:30 AM, and there is no need to make a reservation.